a splendid tours over Austrians mountain passes. 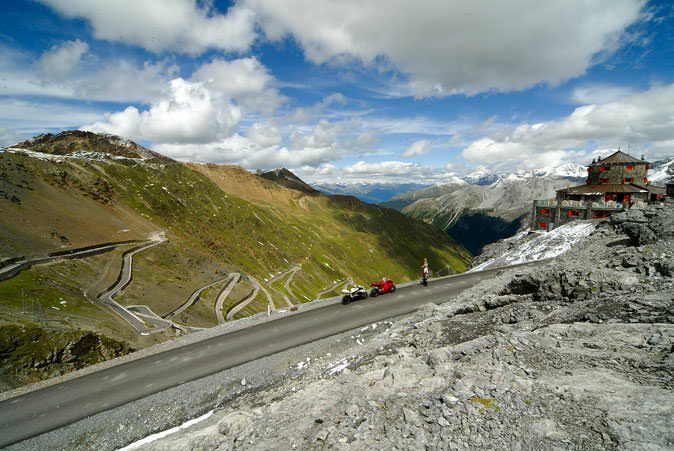 Stelvio 2758m, Timmelsjoch 2501m, Arlberg pass 1793m, Hahntennjoch 1894m, Ofenpass 2149m, Flüelapass 2383m and many others are all situated at a short distance of See. 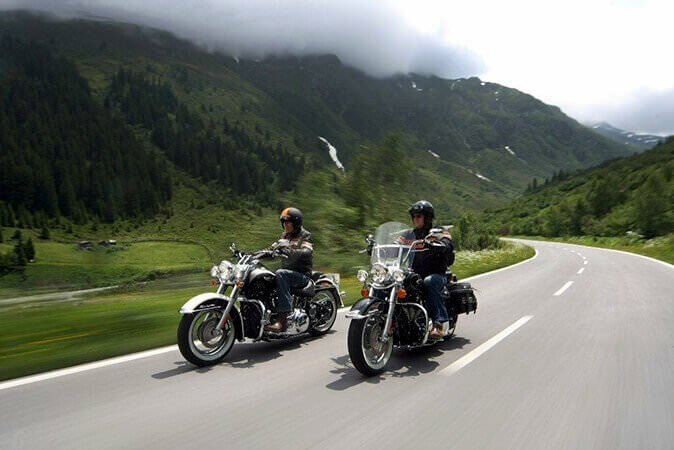 Motorcycle riders can rent their HARLEY DAVIDSON® on the spot at Apart Vivaldi. Perfect tour planning included local tips. 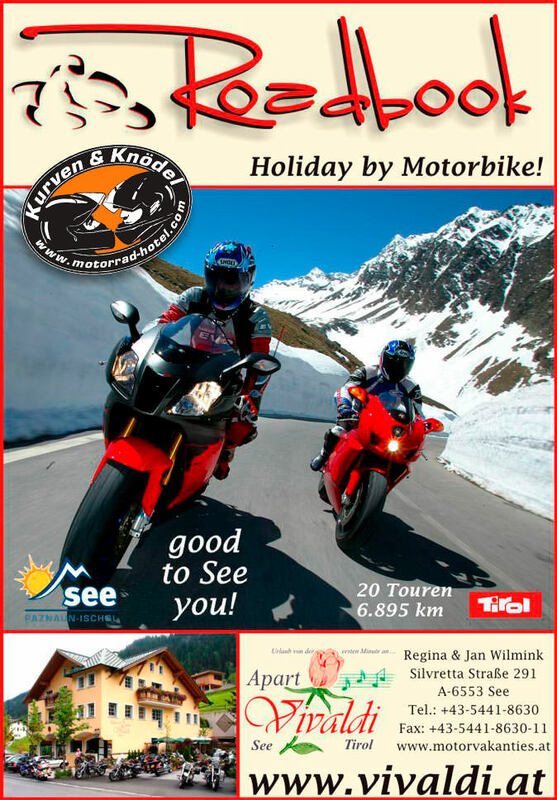 Our regional road book gives the most beautiful motorcycling routes in the area stretching from the central Alps to the Dolomites including roadmap and GPS!